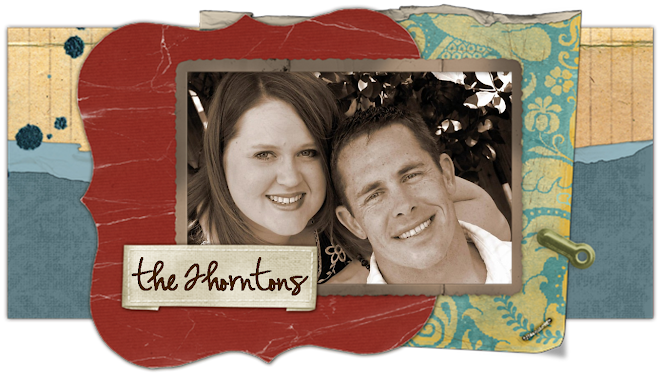 the thorntons: No Time to Blog! What is that about???? Someone has too much time on their hands! Sarah, you had me in tears reading that blog! I want you to know that you have been so strong and optimistic also. You are an inspiration from what you have been through, and I respect you and your role as a supportive wife. Not once, through 3 deployments did you EVER say a negative word! You are awesome and I think the world of you! I am so glad y'all are moving back home! I love u! Hi Sarah! Texas missed you! Your blog made me cry! I am so proud of your life and what you have gone through! Words can't convey coherently what I struggle to say but you are an inspiration! Lots of love to you and yours! oh me oh myyyyyyyyyyyyy, i thought about you this week and the tornado. i hate tornado's. how weird is it to close that chapter of your lives and to open a new one. wow. and i'm excited that i will get to see you as i get to start a new chapter in my life! i love you guys! That's it. I am just going to have to come to Texas for coffee because I can't think about saying goodbye to you.